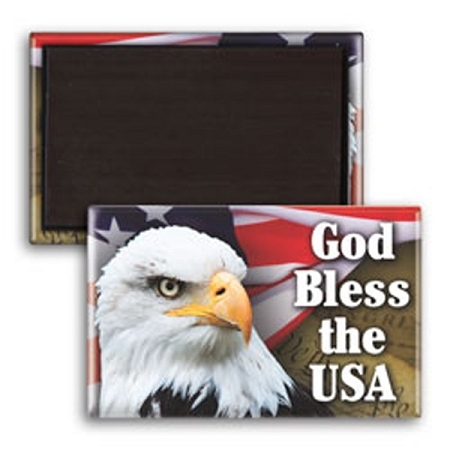 This customized 1 3/4 x 2 3/4 Rectangle Metal Button Magnet adds dimension to your magnetic promotions. Also referred to as a button magnet or celluloid magnet, this promo item is backed with a magnet. The high quality, full color printed metal refrigerator magnets are popular as souvenirs as well as handouts at fairs, trade shows, and campus festivals!